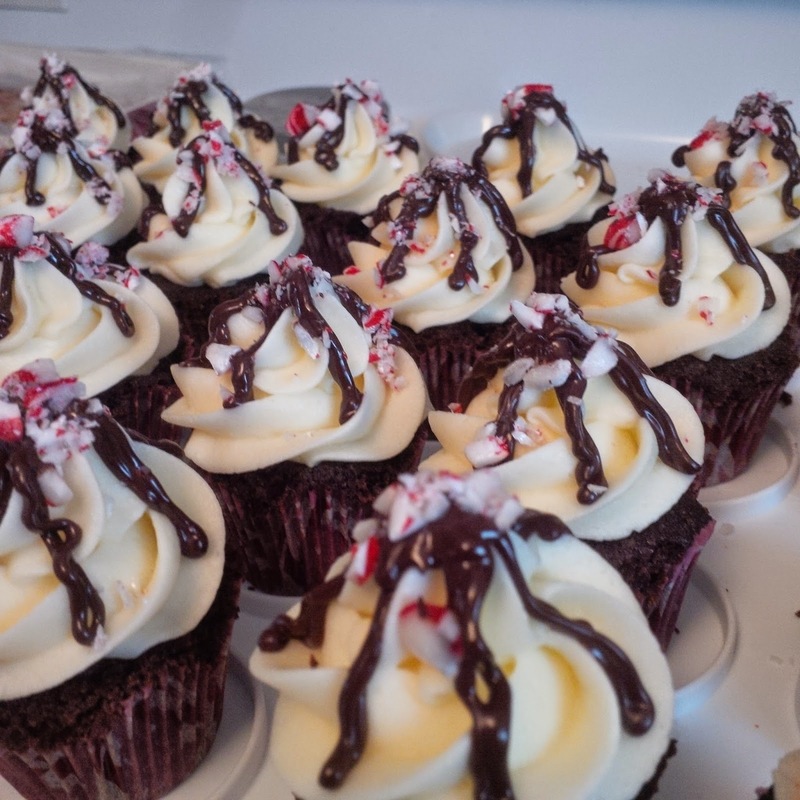 Cakes, Cuppies And Other Confections: Leftover Candy Canes? I needed a cupcake to bring to a family gathering over the Christmas holidays and didn't want to do something expected like vanilla or chocolate. I love the combination of mint and chocolate together and also knew that I had an entire box of candy canes that I would like to incorporate somehow. 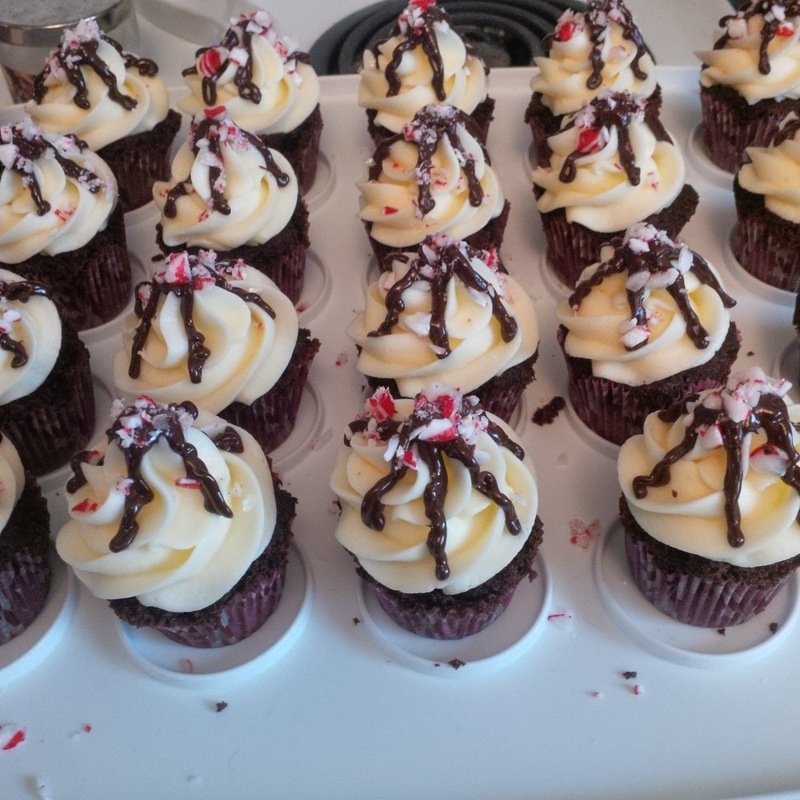 So when I came across this recipe for Peppermint Mocha Cupcakes, I knew that I had to make them. 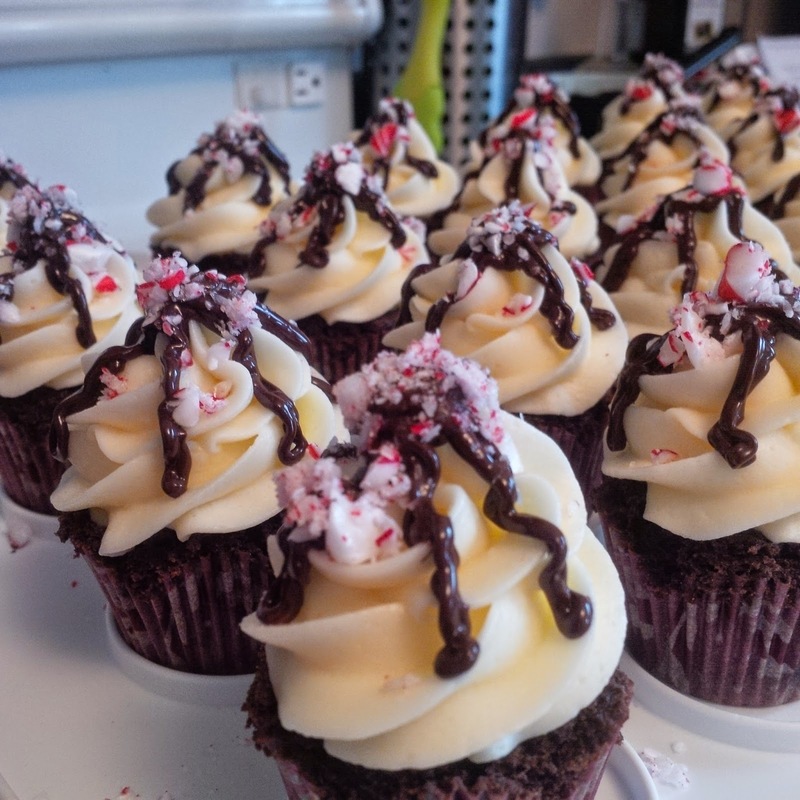 They are a wonderful chocolate-mocha cupcake topped with a smooth peppermint buttercream, drizzled with dark chocolate and sprinkled with crushed candy canes.